The Showmen's League of America was founded in 1913, by a group of outdoor showmen meeting at the Saratoga Hotel in Chicago. Buffalo Bill Cody, the Wild West performer, was elected the Club's first President. The Showmen's League of America is the oldest organization of its type in North America. The League promotes friendship and fellowship between its members and the outdoor amusement industry and pledges to assist those in need through one of its many programs. Since 1913, 102 Showmen and 3 Show "women" have served as President of this prestige organization. 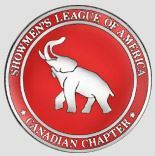 The Showmen' League of America has over 1000 members. All inquiries to the St. Louis Club can be made to Theresa Noerper tmnep@aol.com or calling (314) 378-8696. The St. Louis club became a chapter of the Showmen's League of America of Chicago in November of 1965. We have nearly 300 members in the St. Louis organization. The sole purpose of the club is to fund scholarships for deserving students. We have three meetings a year (Annual Banquet, Gibtown Meeting and a Spring meeting). St. Louis has a Showmen's Rest that is maintained by the club. Memorial Scholarships are also an important part of the club's history and success. Currently there are 7 Memorial and 1 Living Scholarships available to the St. Louis Scholarship program. Anyone interested in establishing a memorial fund should contact an officer of the club for information.